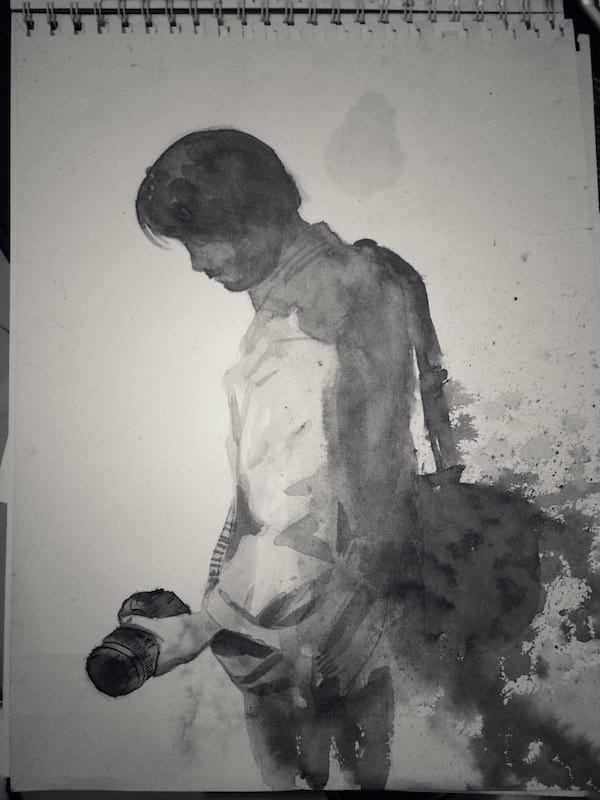 In Citizen Jake’s Facebook page, a rough black and white sketch in ink and paper by film editor Tom Estrera shows a profile of Jake Herrera with a camera in hand and duffel bag on shoulder, in work mode capturing the world around him as it happens, as any sensible journalist would. Although you can’t see his face, he seems transfixed at the image captured on lens. Or is he just deep in thought? 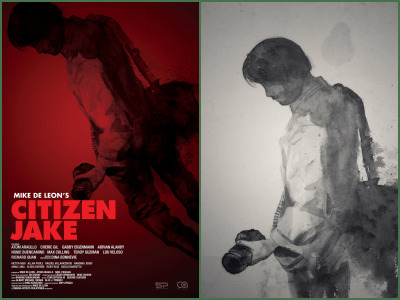 This image is used in the official CITIZEN JAKE poster, showing in cinemas nationwide May 23. 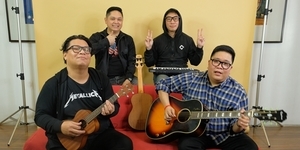 Director Mike de Leon explains: “It is a feeling of something rough, unpredictable, unfinished, perhaps even damaged that is the story of CITIZEN JAKE. Tom got it right for me.” Tom may have gotten it right, but in fact says that the spatter effects are actually accidental: “I placed the artwork out under the sun to let it dry quickly. After a few minutes, it poured, not realizing that I left it out. It was a beautiful mess for me.” Beautiful indeed. CITIZEN JAKE tells the story of Jake Herrera, a journalist and an estranged son of a powerful Philippine Senator. Driven by disdain for his father, Jake moves to Baguio City where he attempts to build a new life as a blogger and college teacher. But circumstances force him to try to solve the brutal killing of a young, female student in the university where he teaches in. Jake conducts an investigation—a move that leads him to face corruption and his personal demons.